What Is Cydia and What Does It Do? 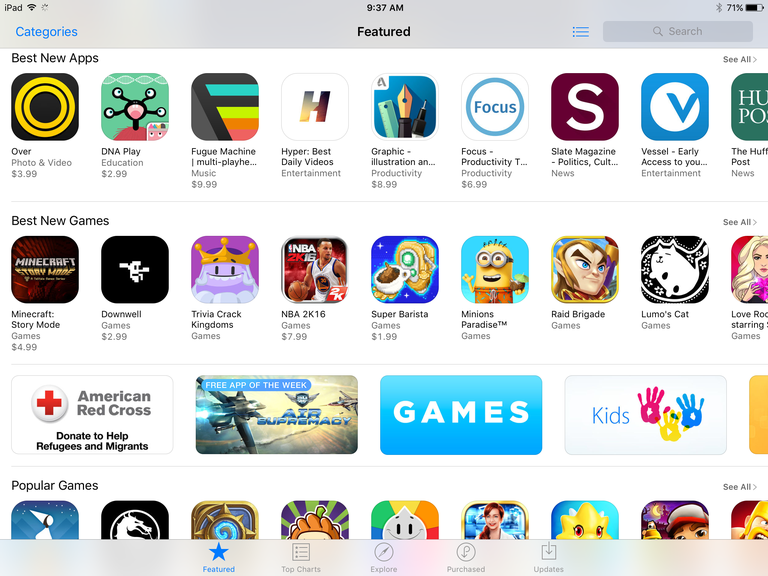 Apple's App Store isn't the only way to buy apps for your iPad. One interesting Android feature is the multiple app stores, which include Google Play, the Amazon Appstore and Samsung's app store. But did you know the iPad has multiple app stores? Cydia is the most popular alternative to the App Store, and like all third-party app stores for iOS, it is only available for jailbroken devices. Many of the apps available on Cydia are those who could not pass through the approval process of the official App Store, usually because they ran afoul of the restrictions Apple puts upon apps in the official store. For example, any app that replicates the functionality already found on the device can be rejected, which is why Google Voice was famously rejected years ago. Also, apps that use restricted APIs will not be approved. This leads to a lot of cool apps on Cydia that you can't find on the App Store. One of the more popular apps on Cydia simply switches Bluetooth on or off so you can get to it quickly without searching through settings or pulling up the iPad's control panel. This app can't pass Apple's approval process because it replicates a feature that already exists: the Bluetooth toggle in the control panel. The iPad, iPhone and iPod Touch are tied to the App Store by certificates that are used to authenticate apps. In essence, each app has a seal of approval from Apple and apps require this approval to actually run on the device. "Jailbreaking" a device essentially removes this requirement, allowing the device to run any app. This also allows the device to run third-party app stores like Cydia. Read more about jailbreaking your device. Is There Malware on Cydia? The downside of having an open app store is the ability for developers to upload malicious apps. While it is possible for malware to slip onto the official App Store, Apple has one of the most rigid processes for app approval, so it is rare. It's much easier for malware to make its way onto Cydia, so it is important for Cydia users to take steps to protect their device. This includes downloading apps from trusted sources or with many, many solid reviews and avoiding newer apps, even if they have good reviews. Are There Pirated Apps on Cydia? The basic Cydia store is not intended for piracy, but Cydia allows a user to provide additional sources for apps, which is how pirated apps are downloaded through Cydia. Again, it is important to understand that apps delivered in this method are not subject to an approval process, so the chance of malware being delivered is increased.